Raspberry controlled fraction collector - what would be the best set? I was thinking about building a self-assembled easy to use fraction collector controlled by raspberry. A Fraction collector is a piece of equipment used in liquid chromatography which has some tubes or holes and moves every some time to the next tube / hole. I was thinking about two servos one moving in X plane and one in Y plane but I don't know that piece of equipment would be the best - step motors, micro-servos or maybe even something else. I would like to use python to program time required to gather single fraction and move one or the other servo X or Y position. Could someone suggest me a good starting point? Since this is a device that needs precision, I would use a stepper motor, if a direct drive were absolutely required. In addition, I would have something that the Raspberry Pi could sense to know that the disk was in position. If the number of positions is constant, I think a very simple mechanical device known as The Geneva Drive would be better. It was originally designed for watches. Using a motor at a constant rate of rotation, this would bring a new hole under your collector at equal and periodic intervals. You could use just an inexpensive DC motor and controller (or a servo motor) to drive the disk. If your intervals are not strictly periodic, then you could stop the motor until the hole was ready to move again. In any case I would use a sensor to detect when the hole was in place so that the collector could fill the test-tube or whatever you have waiting for it. 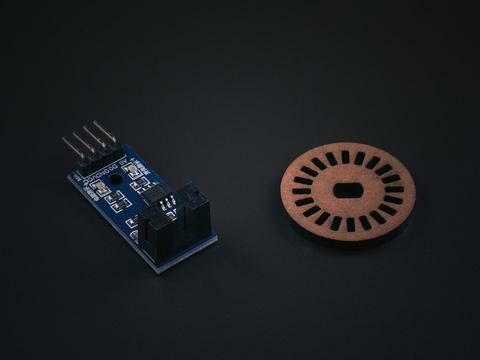 This same sensor could also allow the Raspberry Pi to stop the motor until the the collector is ready with a new faction. It would also be good to have some sort of sensor so that you don't overfill the containers. Not the answer you're looking for? Browse other questions tagged python servo dc-motor diy or ask your own question. Would Scrapy Be Ok To Run on A Raspberry Pi? Which would be faster? Computing 2000 MD5 hashes on the fly or cache them on SD? What servo motor and mechanism to move the whole Raspi, its camera and case? What is the mother-site for the Raspberry Pi? What's the best way to connect a Desktop app and a raspberry Pi?